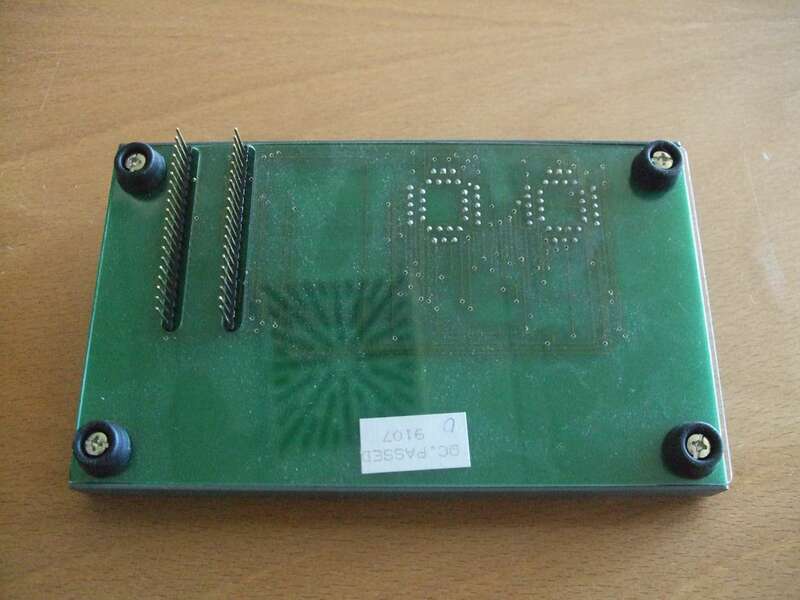 https://www.computer-solutions.co.uk/gendev/all-11dev.htm All-11 device list supported 11 000 types of EPROM, EEPROM / FLASH, Serial EPROM, BPROM, MPU / MCU, PLD. P.S. 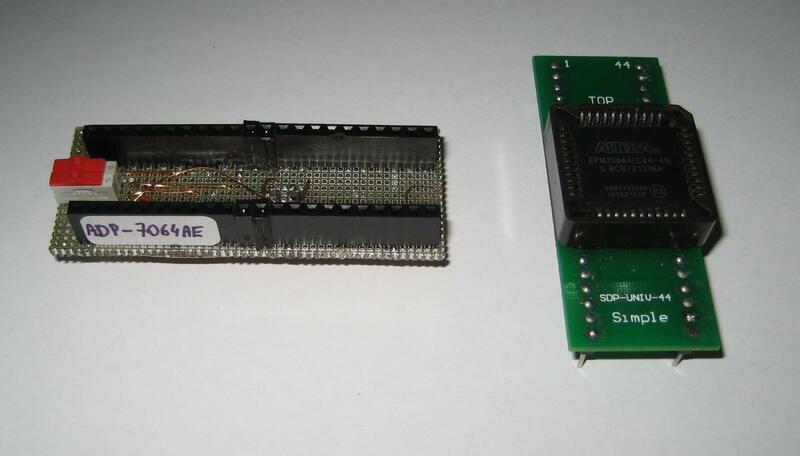 : if you have any adapter for the hilo programmers thank you to send any diagram or photo at matthieu.benoit@free.fr in order to contribute to this page. http://www.programmation.fr/ Distributeur Officiel de Hilo-Systems en France - Official representative of HILO-SYSTEMS in France. 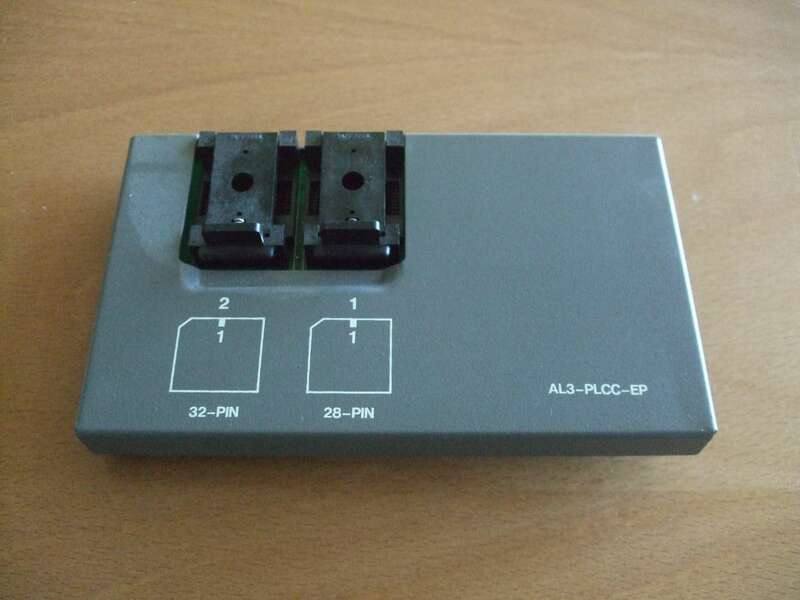 http://www.hilosystems.com.tw/asp/listadp.asp?TYPE=01&NAME=02 Currently Available Adapters from hilo for differents packages. 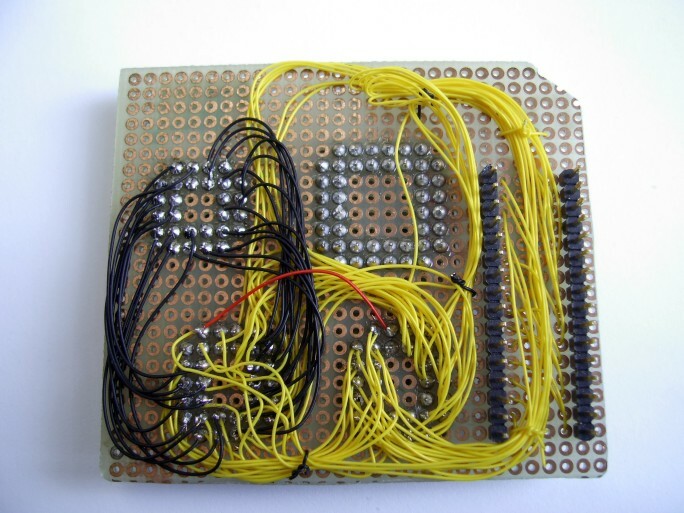 According to the type of component -Pal, Rom- and the size of memories, there are pins in less and in different positions, or in a perfect correspondence. 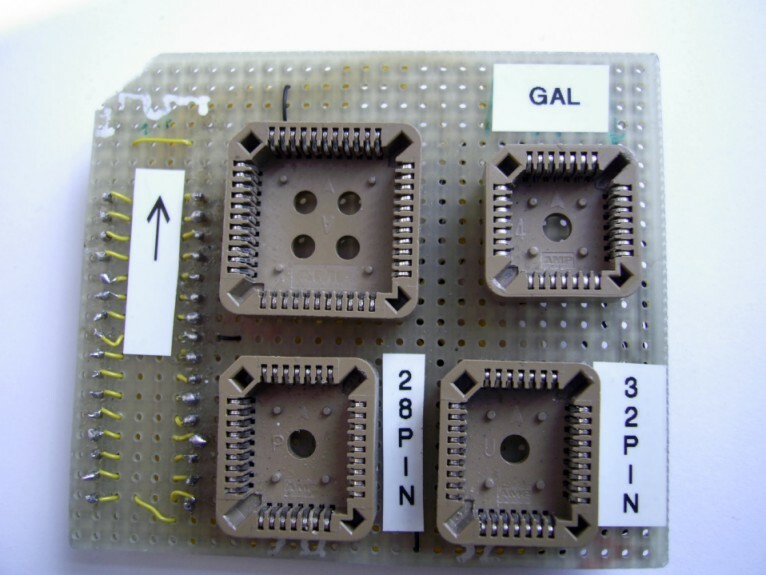 In the table there are the pinout of the families of components; I used the adapter with Intel and Winbond Flash from 256k to 2mb and with GAL 22v10 of the various manufacturers, always with components that were products in dip and also in plcc. 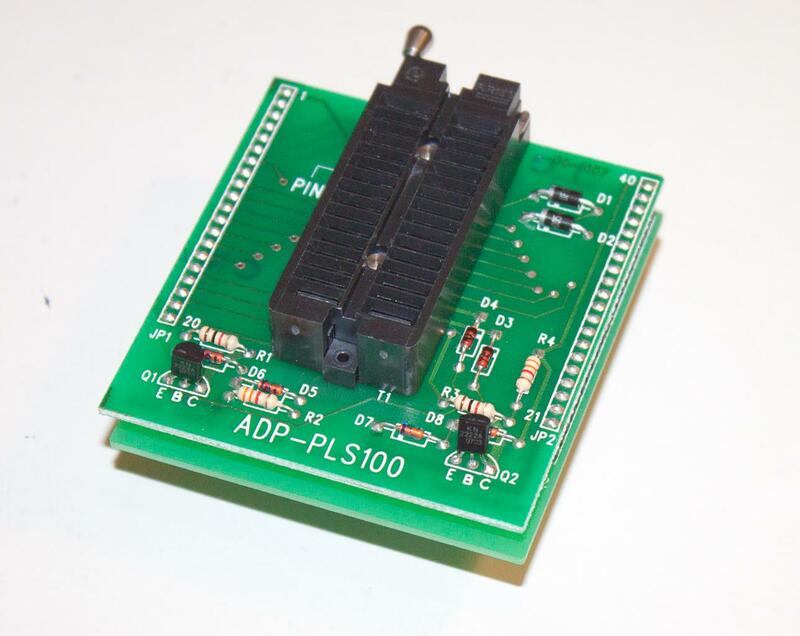 If there are doubts about pinout of other components see the respective datasheet. 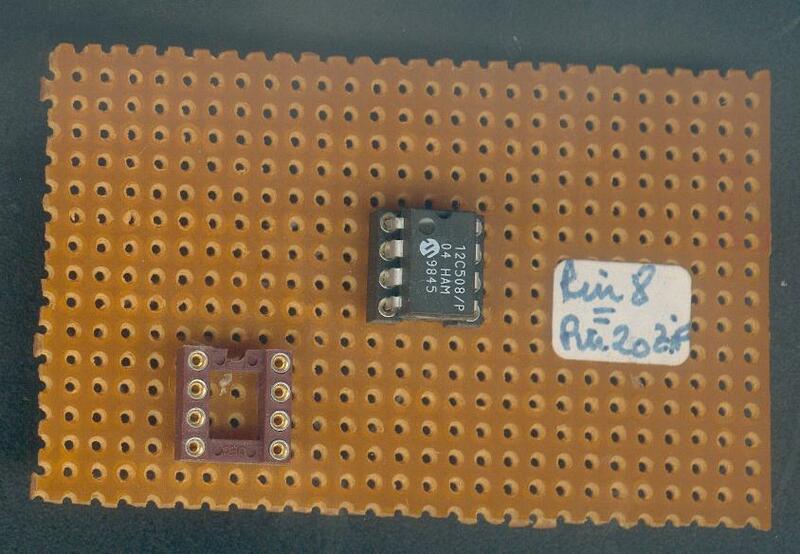 Attached a picture of the adapter and a pinout table. 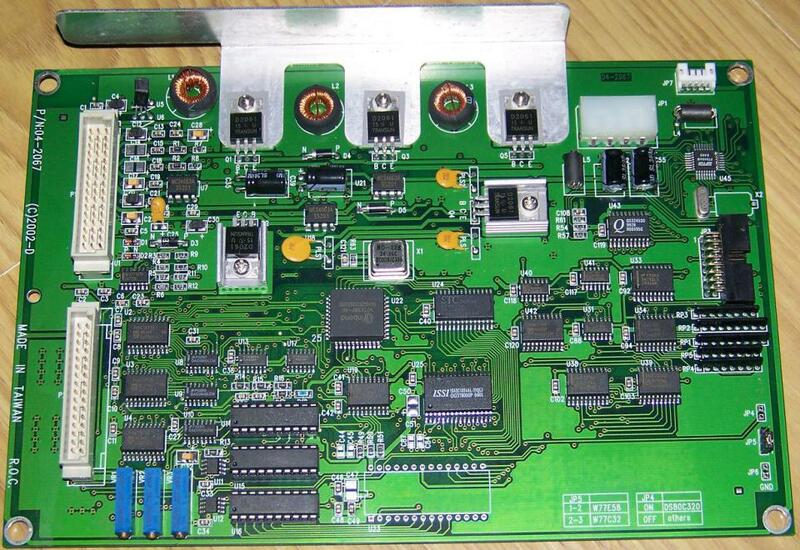 for ALTERA MAX7000 EPM7032 family on ALL03 / ALL03A/ PROMA3/ EXPRO programmers. 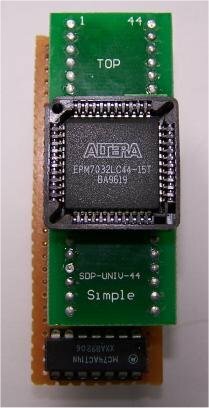 Adapter ADP-AEP42 to program 256Kbit 12.5 Volts Toshiba Flash Memory P/N TC578200D, TC16200D, N3001-008, N3001-016 with the ALL03. 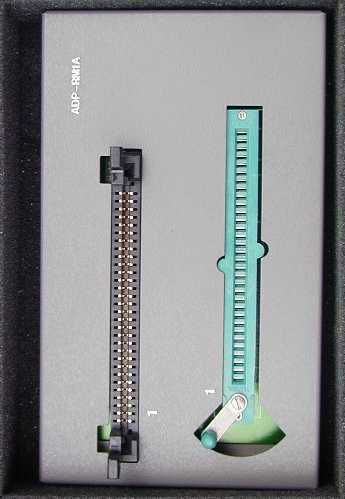 Please check the diagram and the software for this adapter. 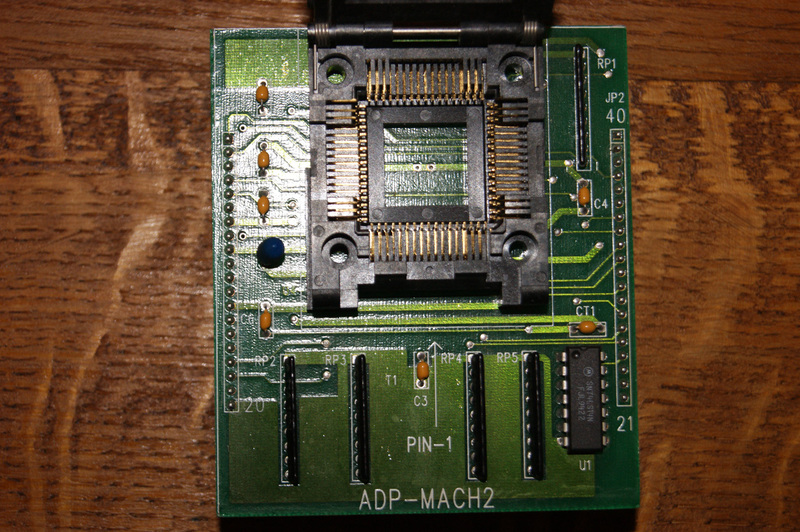 ADP-MACH2 Adapter to program AMD/ Lattice MACH120, MACH220 & MACH221 EPLDs. 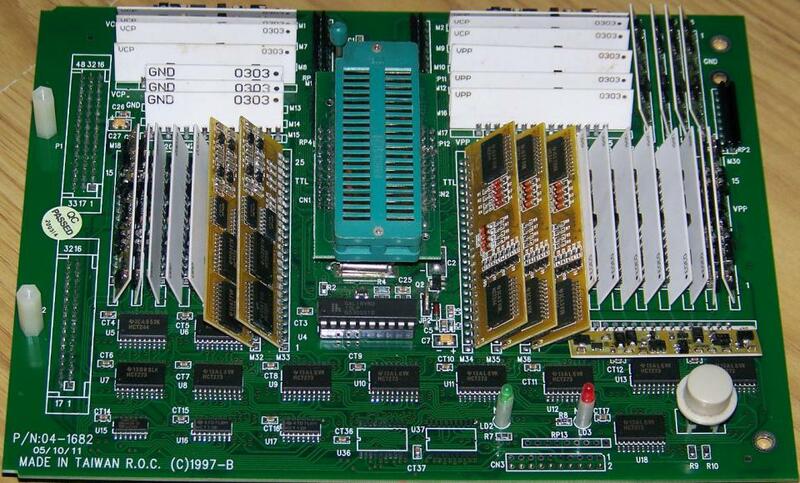 28 /CASP The line is the /CAS line for the parity RAM on the card. 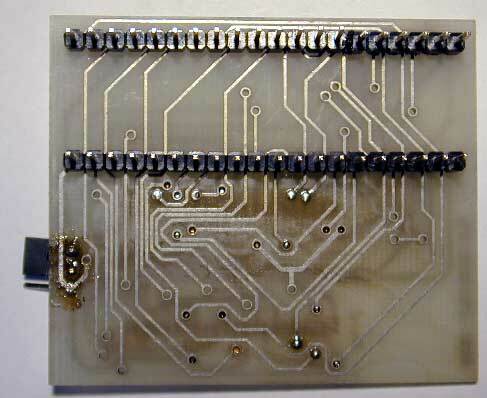 The parity generator circuitry of the motherboards needed a longer time to generate a parity bit, so the CAS for the extra DRAM had be controlled seperately, hence, the extra /CAS line. (Source: Tom Walsh). 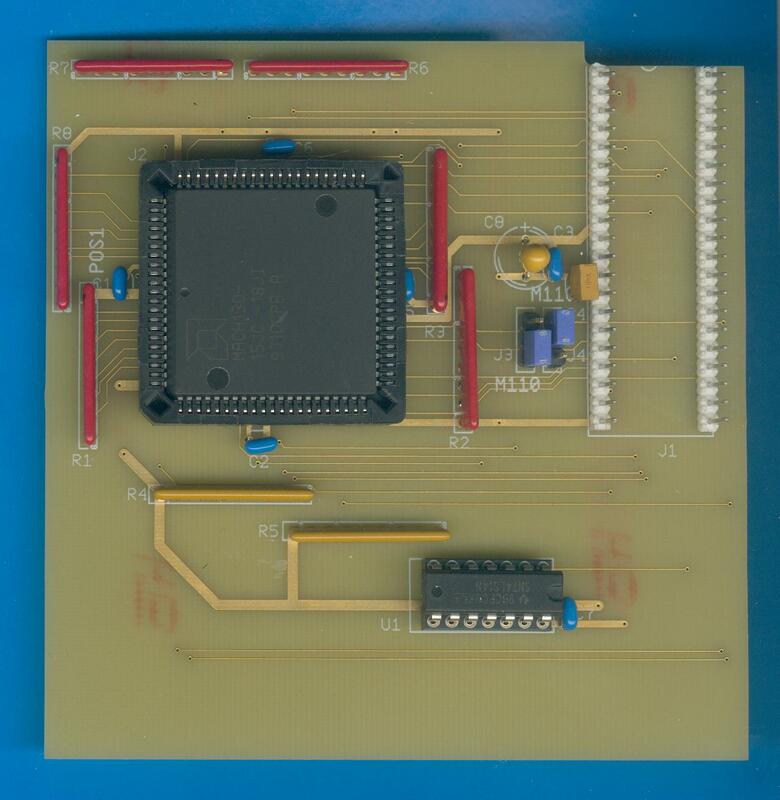 Note: SIMM above is a 4MBx9. QP & DP is N/C on SIMMs without parity. 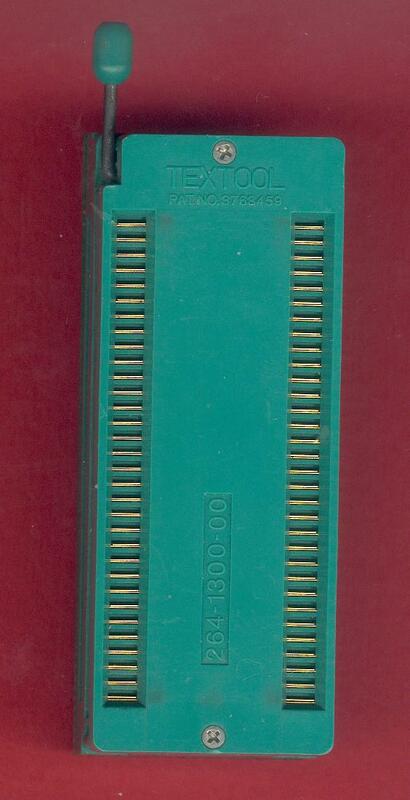 A9 is N/C on 256kB. 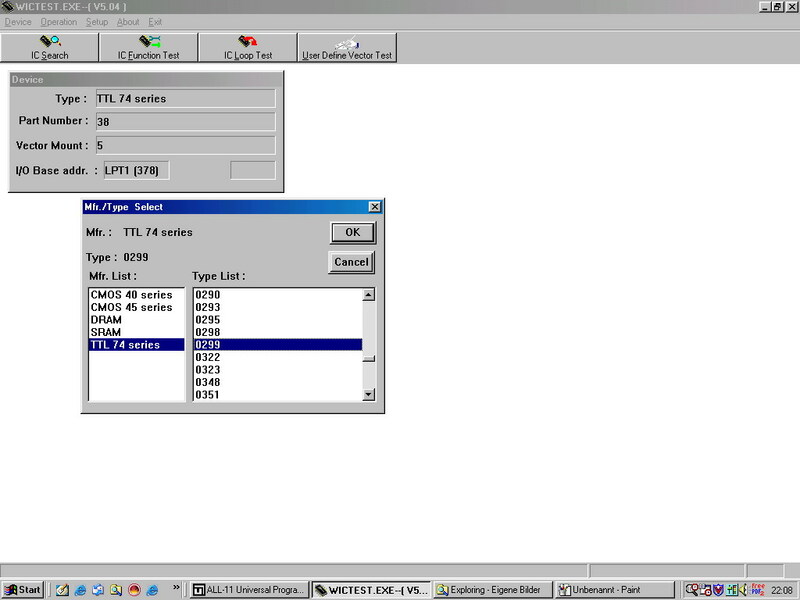 A10 is N/C on 256kB & 1MB. 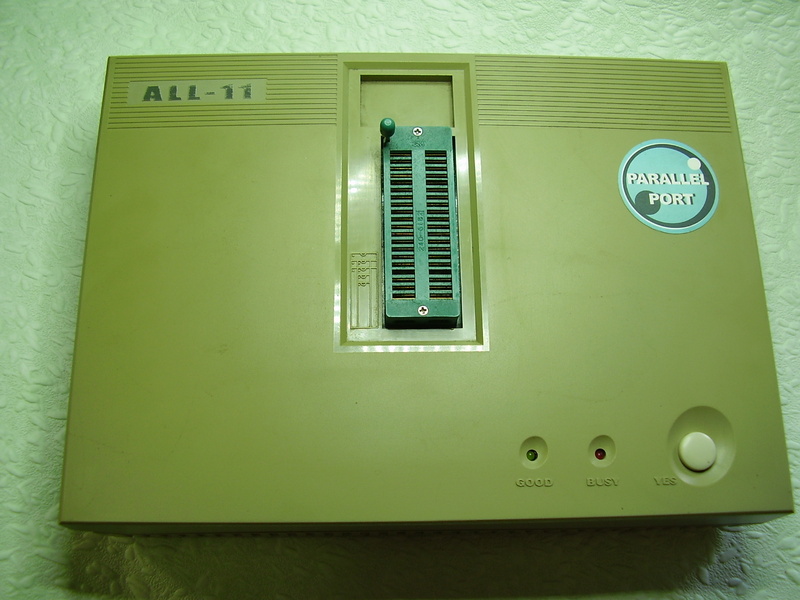 A11 is N/C on 256kB, 1MB & 4MB. 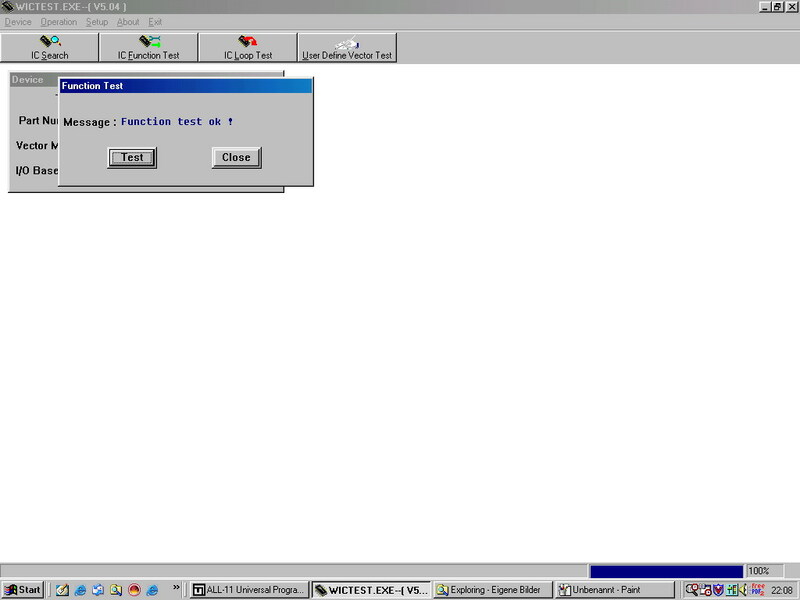 This is only for ALL07 (executable is A7064.exe) as ALL03 does NOT know any MAX7000AE nor MAX3000A. 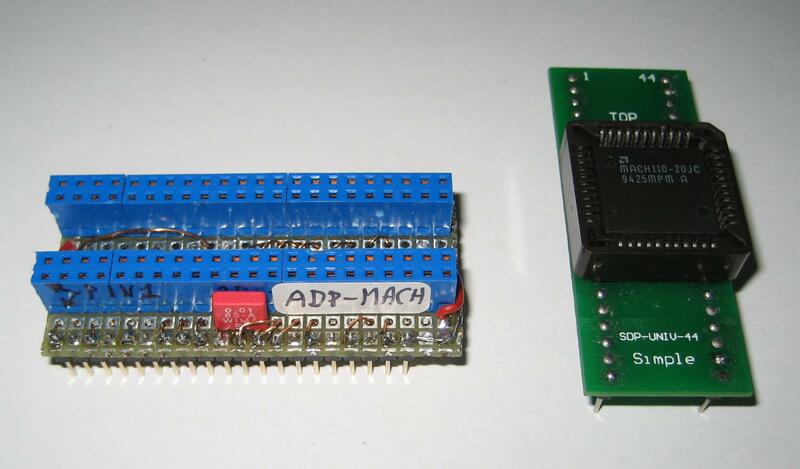 This Adapter is necessary to program CPLDs with locked JTAG pins, so not a simple ISP Adapter. 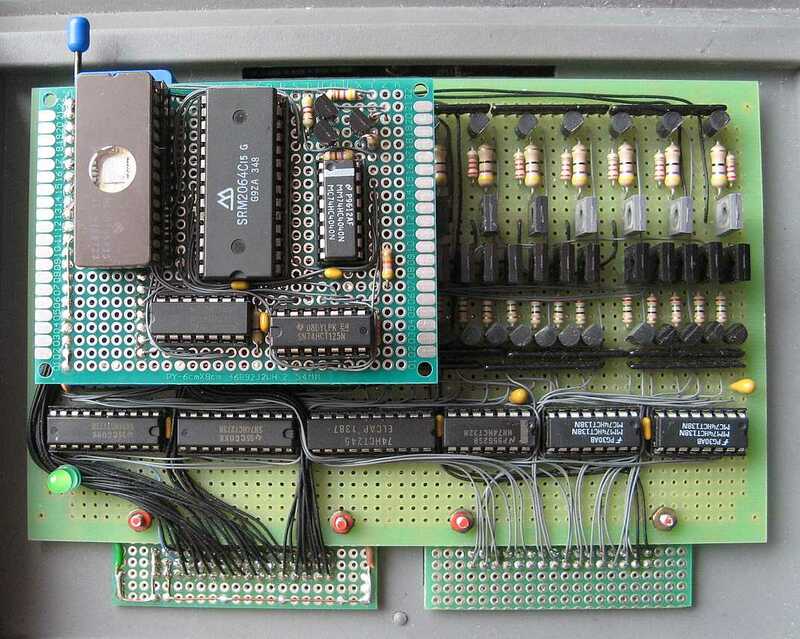 Schematic contains pinout for all available packages. 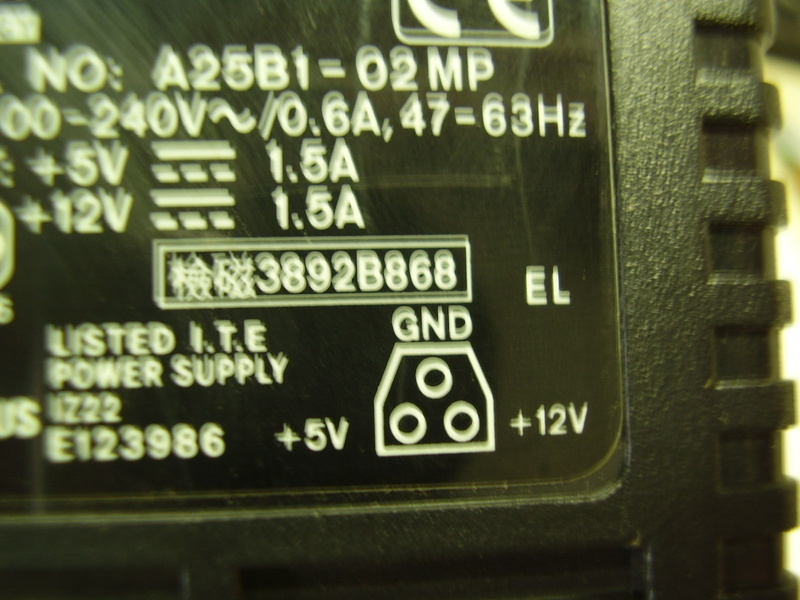 as ALL03 do NOT know any ATF1502/ATF1504 CPLDs. 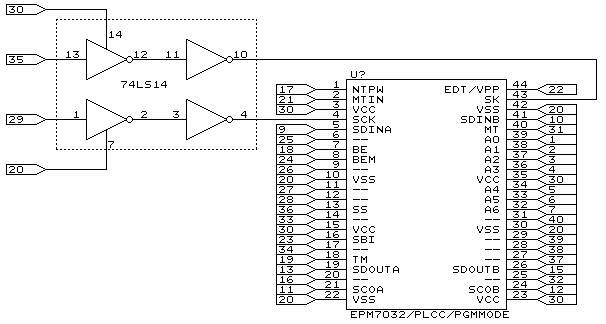 Schematic contains pinout for PLCC44 and TQFP44 packages. 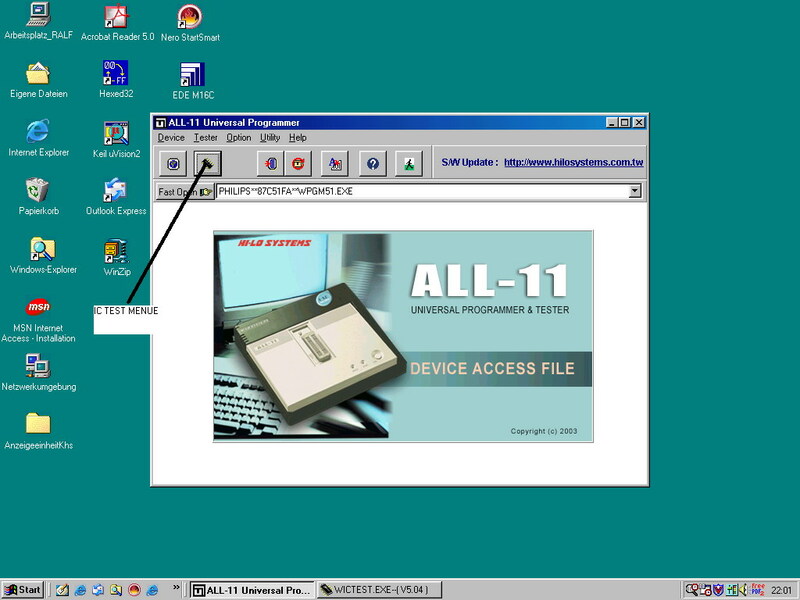 ALL03 does NOT support all package types. 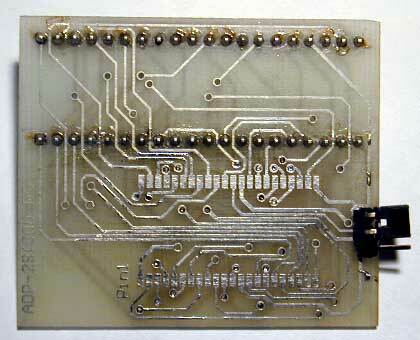 Schematic contains pinout for PLCC84, TQFP100, PQFP100 and PQFP160 packages. 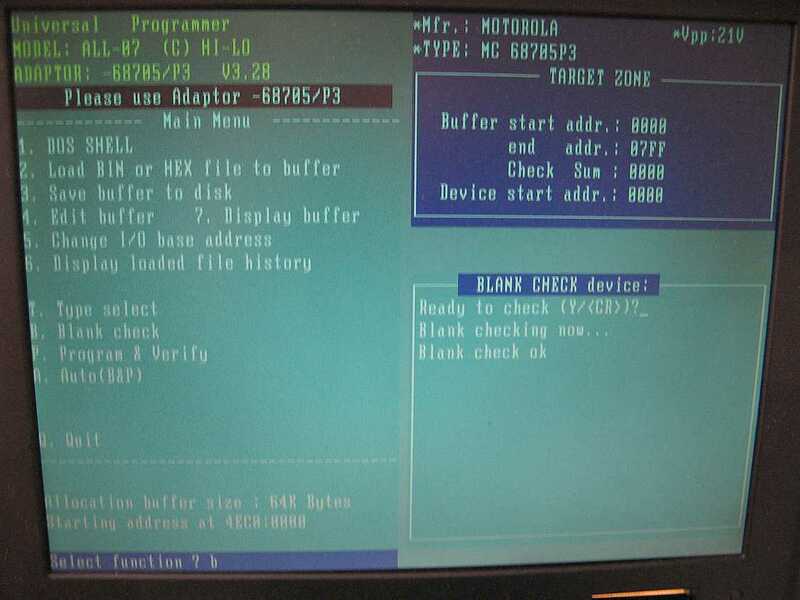 ALL03 (executable is Apz5032.exe) does NOT know Philips CS/NS nor Xilinx A/C types. matching Philips type (the DIE is the same). 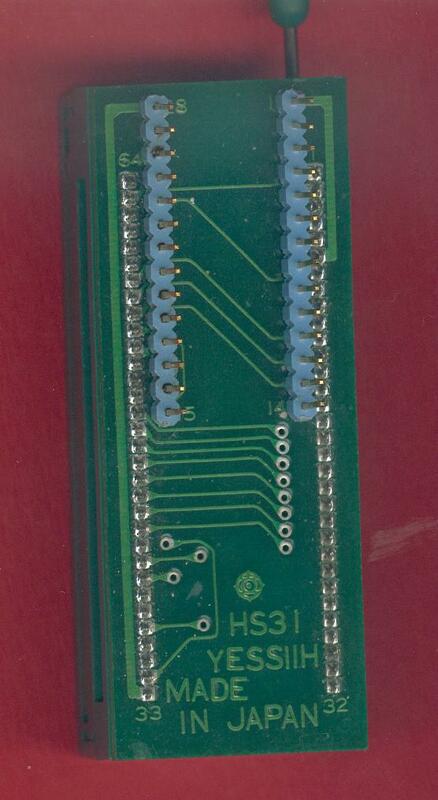 This Adapter is necessary to program CPLDs with locked ISP/JTAG pins, so not a simple ISP Adapter. 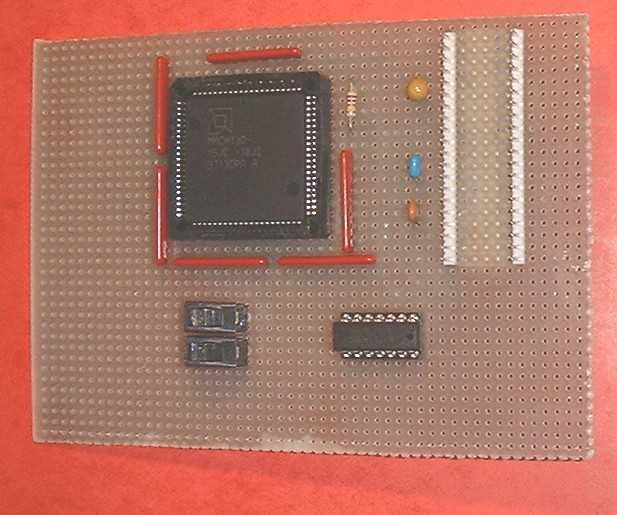 Schematic contains pinout for PLCC68 and PLCC84 packages. 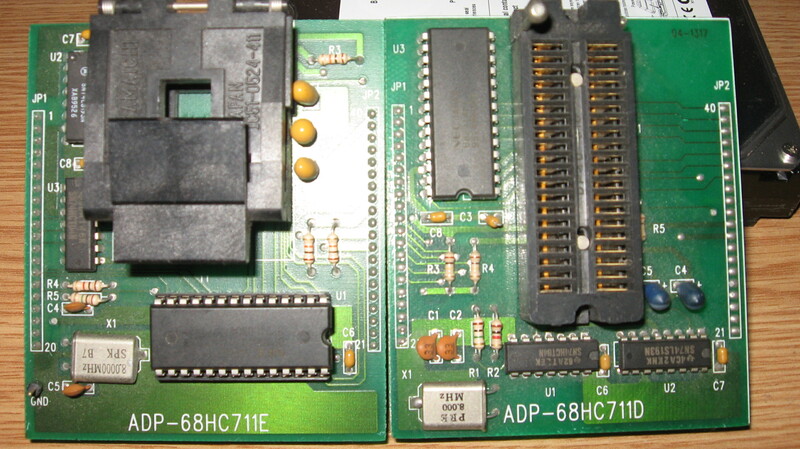 CPLDs and wire it to PLCC84 Adapter (to ADP-PZ5064). 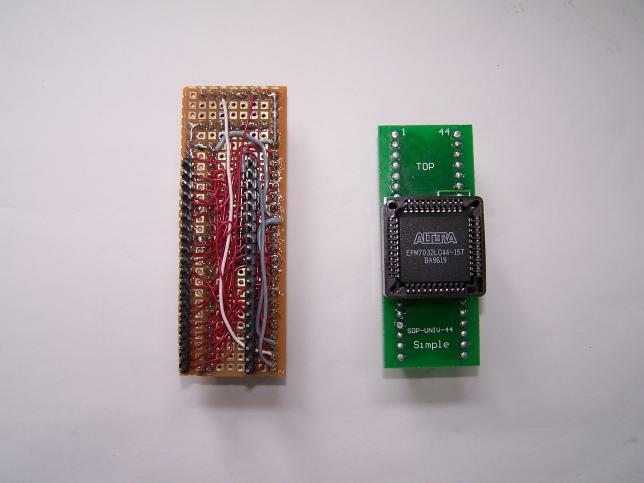 Schematic contains pinout for PQ100, VQ100, TQ100, TQ128 and PQ160 packages. 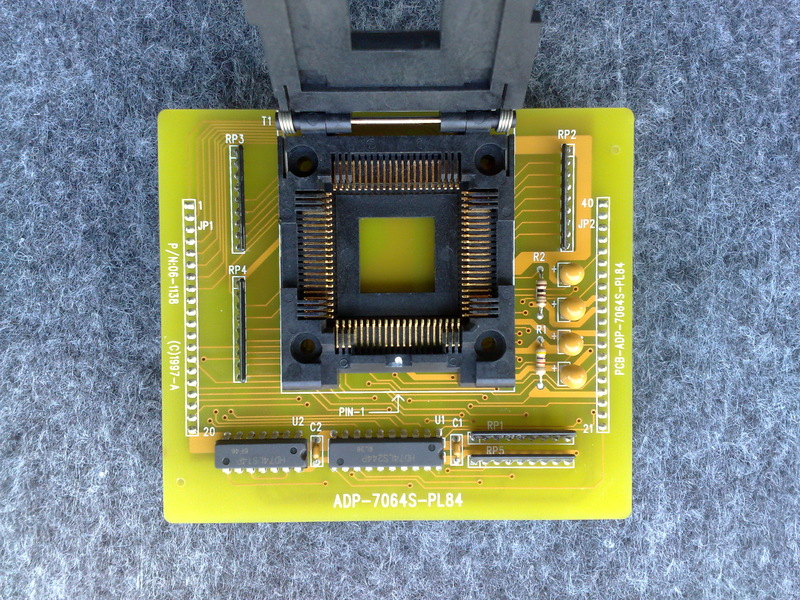 Note: due bonding differences Adapter for PQ100 need a jumper to select type, where others not. 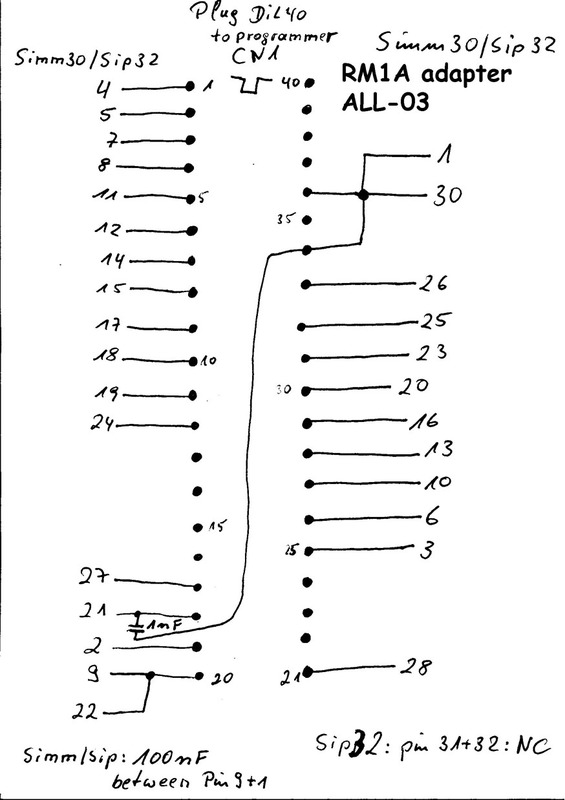 to ZIF28 as the IC itself is anyway in DIP28. 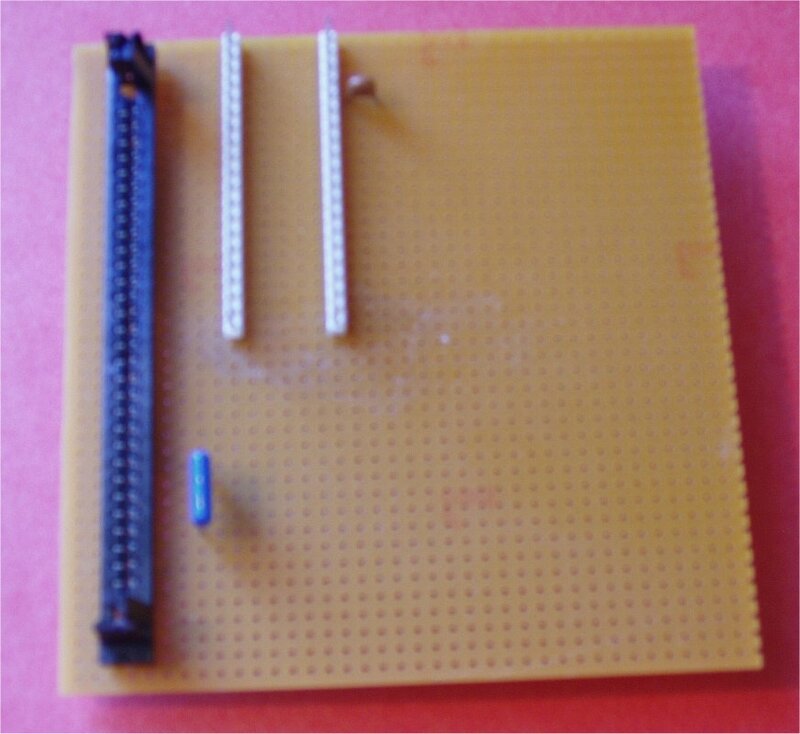 (simply use any 22V10 GAL mode/programmer). 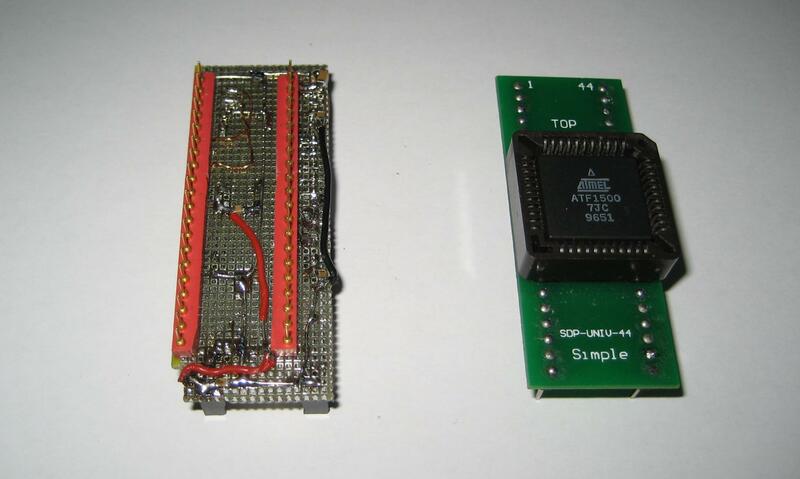 Schematic contains pinout for PLCC28 and SSOP28 packages. 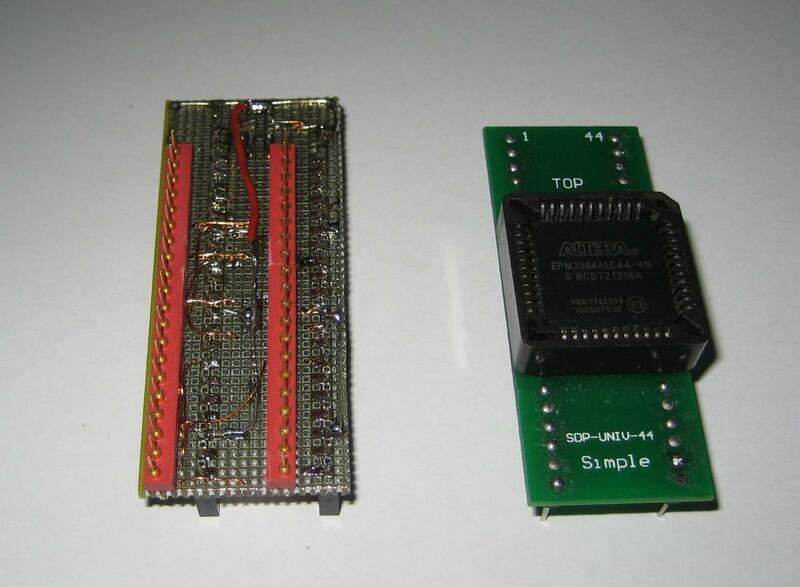 can be programmed without any special adapter (no idea why it is like that). 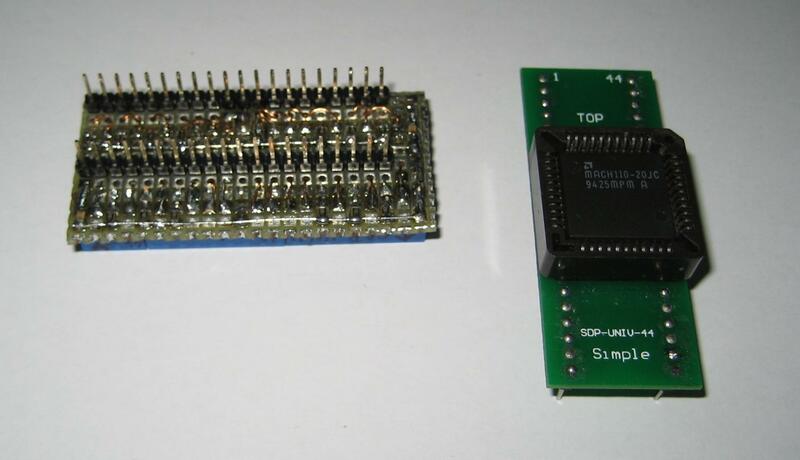 http://mpu51.tripod.com/eprom/eprom.html Adapter (PCB) DIP32 to PLCC32,SOL8 (SMT socket) ; Adapter (PCB) DIP32 to PLCC32, SOL8 ( Thruhole socket) ; Willem EPROM Programmer EPROM,EEPROM,FLASH Burnner (Vpp 12.5V,21V,25V) and adapters Resource. 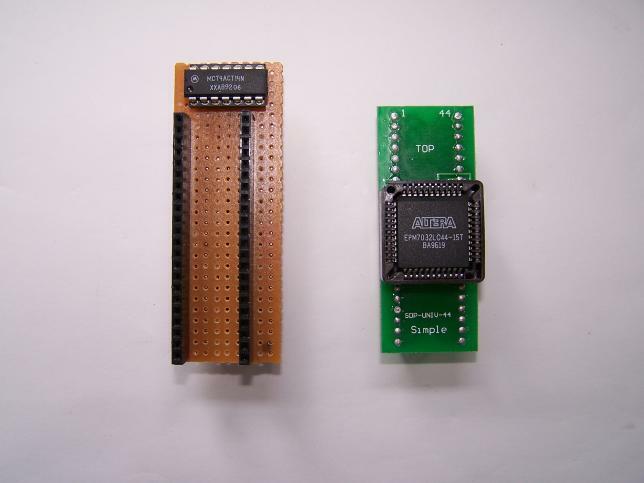 Refer to Memory & Pld pages to see other links about other eprom Programmers and programmable devices. 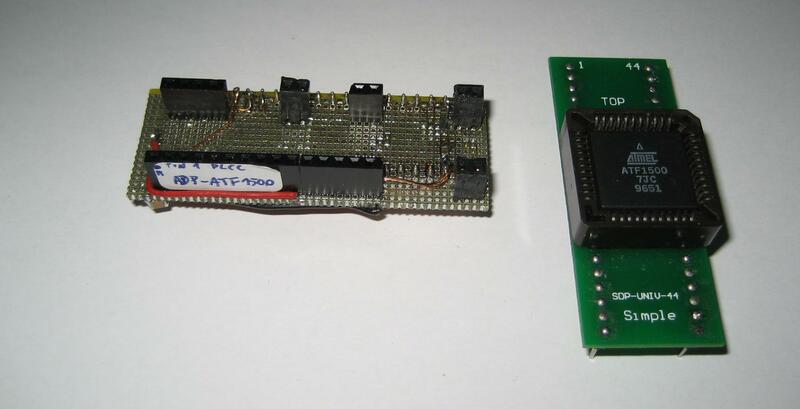 Also Stag pp39 MOS programmer resource page ; other resources available here. 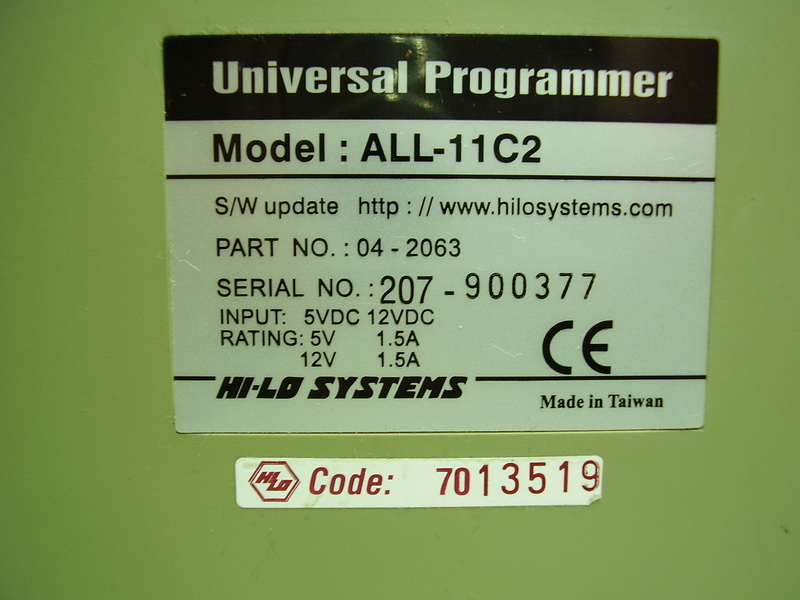 Hilo ALL-11C2 programmer : this programmer is interesting because it can program devices that newer programmers no longer support.